Morbid obesity is a significant health problem for which bariatric surgery has been demonstrated to be the most effective and durable treatment. This surgery reduces excess body weight and improves comorbidities, satisfaction, and quality of life. 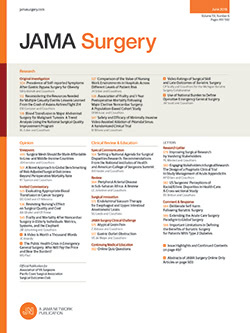 The number of weight-loss operations performed yearly continues to escalate, and previously held limitations on patient selection—age, BMI, and presence of preoperative disease—are now being reconsidered because of the significant health benefits conferred by successful weight loss and treatment of the metabolic syndrome. Strategies to further improve outcomes after bariatric surgery are, therefore, of significant interest, because there is often less room for adverse events with morbidly obese patients than in patients with fewer comorbidities or those of healthy weight. Postoperative complications in the former population can be particularly difficult to manage and deadly. The authors retrospectively review data from hundreds of consecutive patients who had undergone an open or laparoscopic weight-loss procedure and demonstrate that complications can be reduced with aggressive preoperative weight loss.